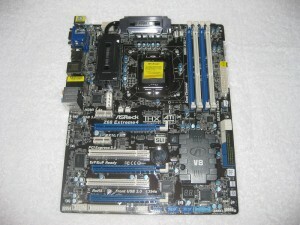 Today will we be taking a look at ASRock’s flagship Z68 motherboard, the Z68 Extreme4. 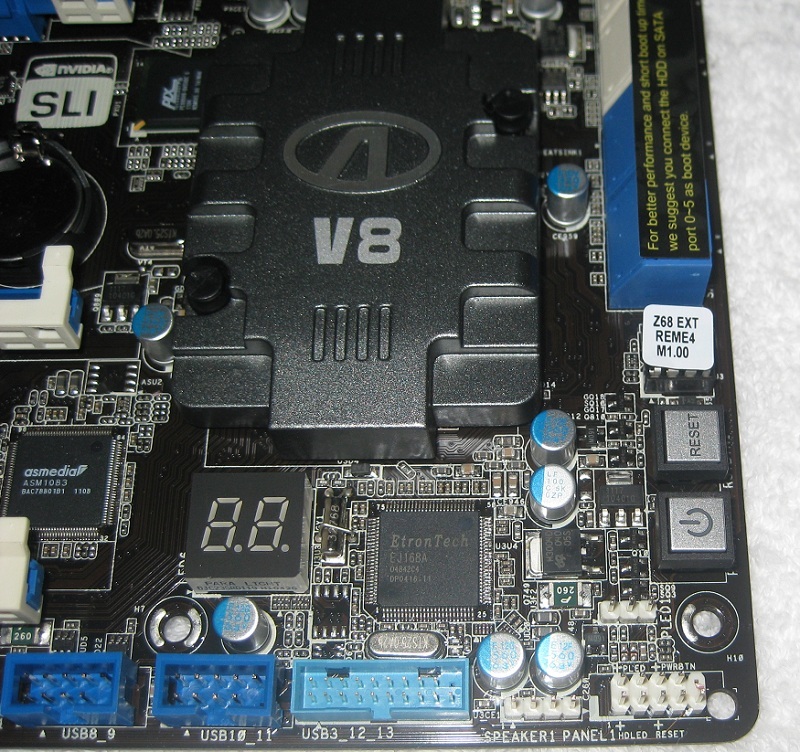 Prior to the Z68 chipset’s release on May 11th, one had to choose between using the iGPU on the Sandybridge-based chips (H67 chipset) or overclocking and not using the iGPU (P67 chipset). 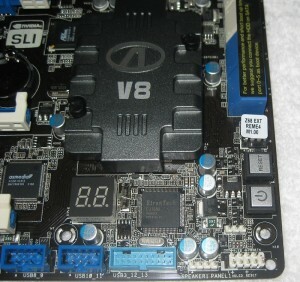 Z68 chipsets, this motherboard included, have also added some new features such as Intel Smart Response Technology which helps mechanical hard drives perform much faster by using a portion of an SSD as its cache, as well as Lucidvirtu technology which ‘dynamically assigns tasks to the best available graphics resource based on power, performance, and features’. 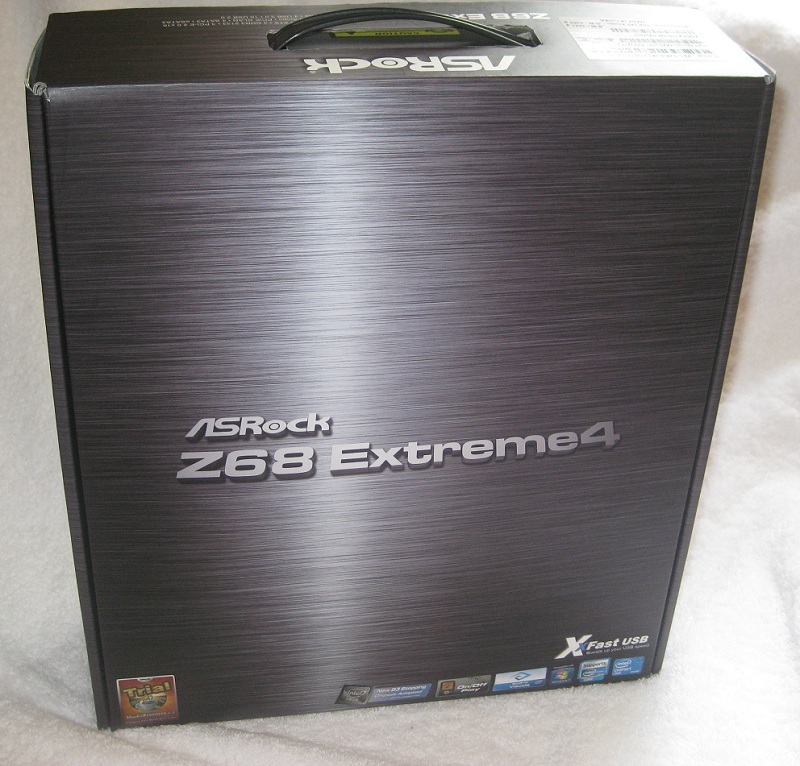 Since we can now have the best of both worlds, lets see how the ASRock Z68 Extreme4 motherboard performs. 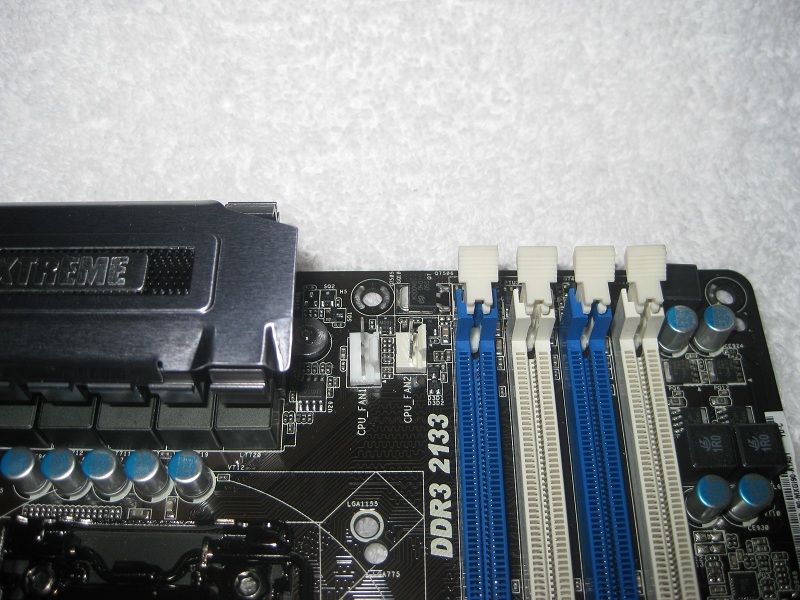 ASRock has chosen to go with a dark brown pcb with grey/graphite heatsinks along with Blue and White PCIe/PCI slots. 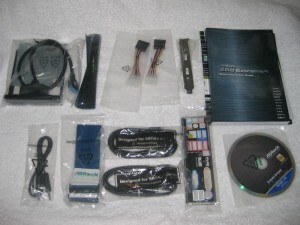 This top of the line offering from ASRock comes with a generous helping of accessories including SATA3 cables, Molex to SATA power connectors, 2 card CrossfireX connector, and even a floppy ribbon. A couple of special additions are a front USB3 panel that fits in a 3.5″ space on the front of your case (and will also hold a 2.5″ drive, like an SSD). 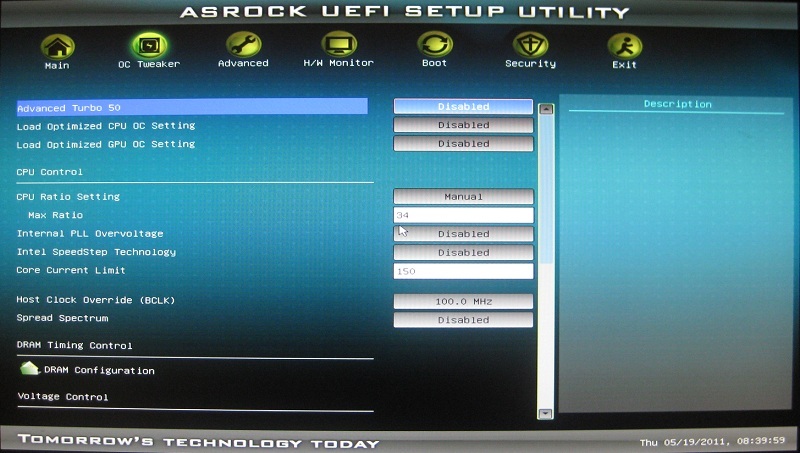 ASRock has also included a 1/8″ to 1/8″ plug for use with On/Off Play Technology. First you can see the Socket layout (Lotes socket for the record), VRM’s, and ram slots and onboard CLRCMOS jumper in case you get hosed with an extreme overclock (also a button on the I/O panel for those that use a case). In the third picture you can see a really neat feature in my eyes. ASrock included DUAL CPU fan headers towards the top of the board. 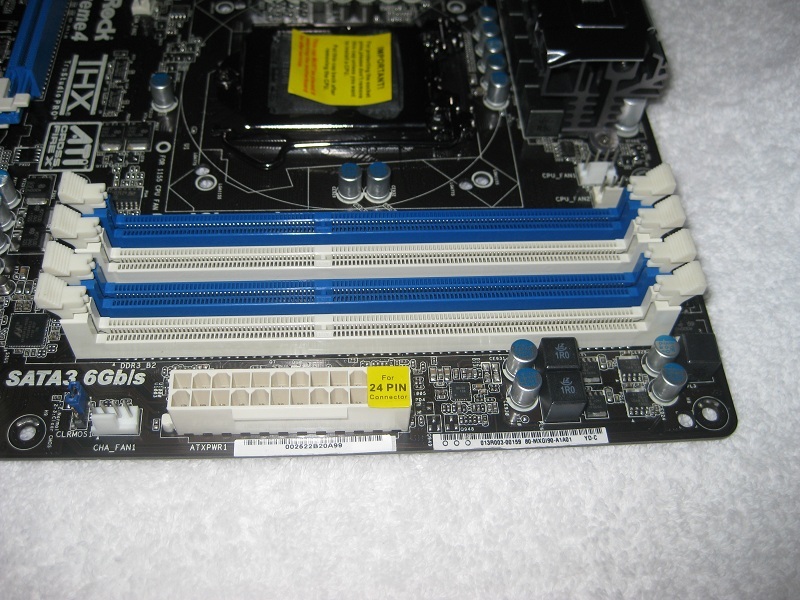 This is great for those running, you guessed it, dual fans on the CPU heatsink. 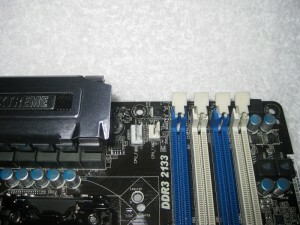 Featured below are the rear I/O ports, SATA ports, as well as a picture of the headers on the bottom of the motherboard for USB, front panel audio, case swiches and lights. 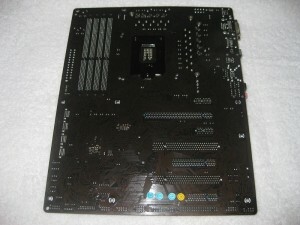 Front 1394 and even a legacy floppy header (connector included) also come standard. 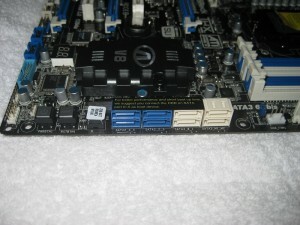 Notice how this board has DVI and VGA ports for use with the onboard graphics Sandybridge offers. 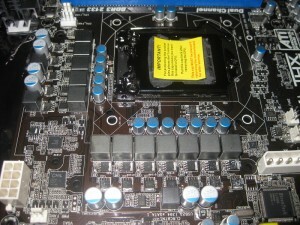 I decided to take of the heatsinks on the board to see what was going on below. Glad I did this, as it seems that the heatsink was not making contact with all the VRM’s properly. I am sure this was an anomoloy out of the factory, but it never hurts to tighten them down a bit with any motherboard you receive. Tightening them down did fix this situation and after pulling them off again showed proper contact. 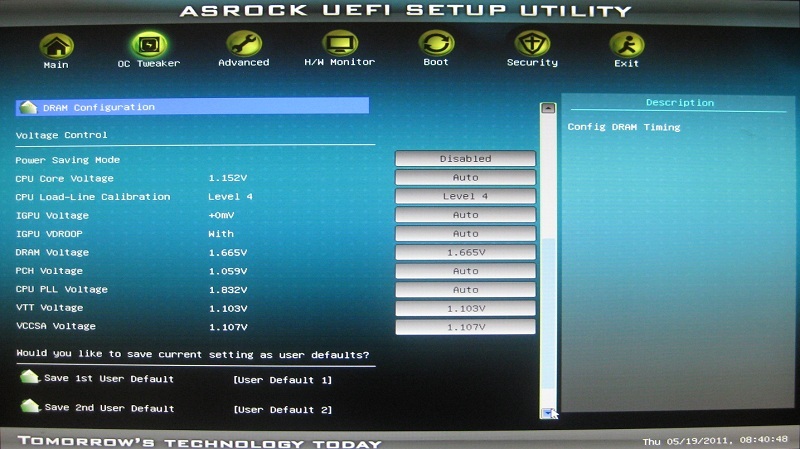 ASRock is also using a UEFI bios (Unified Extensible Firmware Interface). 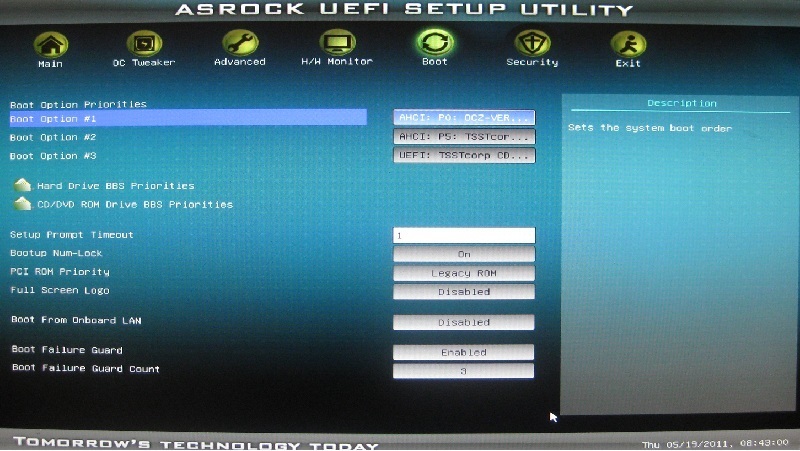 This type of BIOS, as you can see below, has a very nice GUI as opposed to the typical blue and white almost DOS based BIOS of the ‘past’. 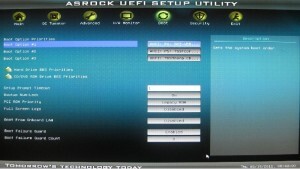 This BIOS also allows one to use their mouse to click around instead of exclusively using the keyboard. I noticed on my system that there was a slight delay on mouse movements and clicks, but it was an easy thing to get used to. 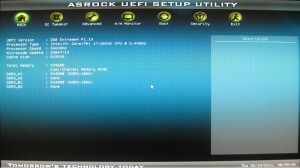 You can also boot from a 3TB HDD with a supporting OS with this BIOS. 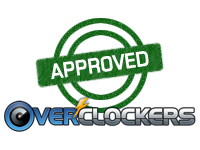 There are PLENTY of options for overclockers available here as well. 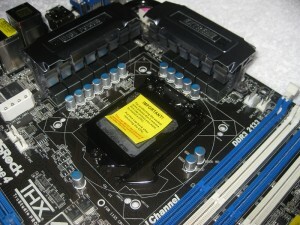 DRAM timings and subtimings, Multiplier, bclk, the all important PLL override voltage to push extreme clockspeeds and just about any other option full featured motherboards offer. 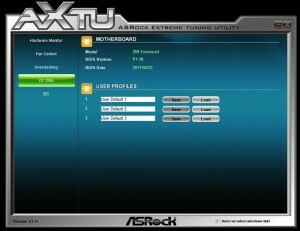 Below you can see ASRock’s all-in-one software tuning application dubbed AXTU (ASRock Extreme Tuning Utility). 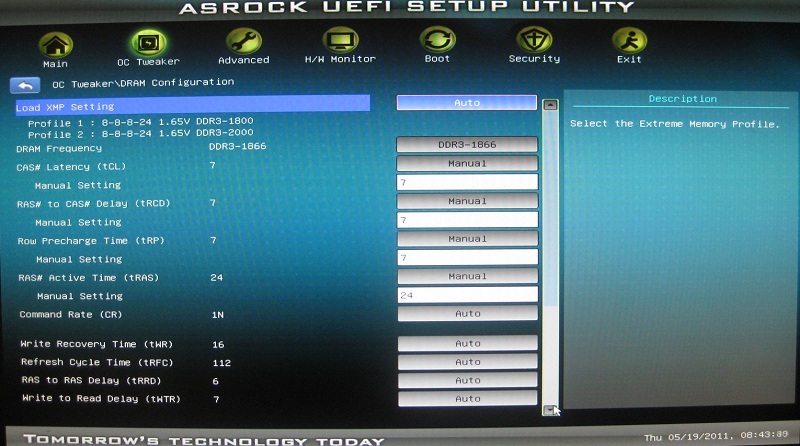 It’s function, as others just like it, are to control and fine tune different features such as fan control, overclocking options and voltages, OC DNA (Shows bios version and saves user profiles – even share with your settings with friends using the same system), as well as power saving features in a user-friendly interface. As you can see below the interface is straight forward and was very easy to use. The major features overclockers are looking for are present and accounted for. 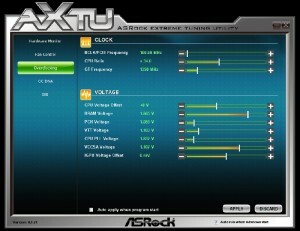 I was unable to adjust bclk from windows, but the multiplier and all voltage adjustments worked fine. 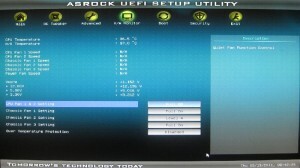 As most who have Sandybridge chips know, overclocking with this generation of CPU is not exactly the tweak-fest it used to be in order to achieve high clockspeeds out of the CPU. 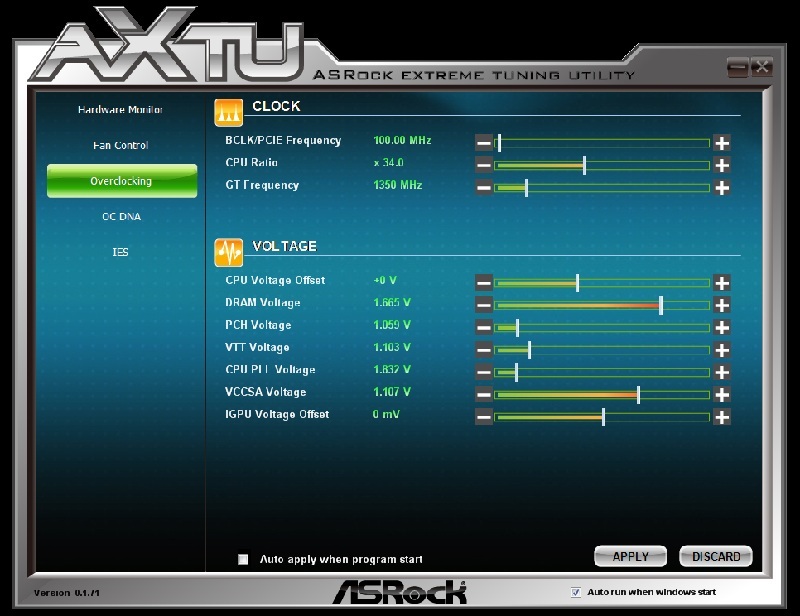 For most users hitting a stable 4.4-4.6Ghz overclock is as simple as leaving the voltages on auto except for Vcore, setting your memory speed, timings, and voltage manually if your XMP profile doesnt want to play nice and of course having adequate cooling. The ASRock Z68 Extreme4 has all the parts to make it happen and then some. 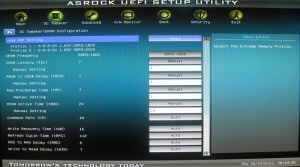 It even has an auto overclock feature that you can select from 4.0Ghz to 5Ghz. 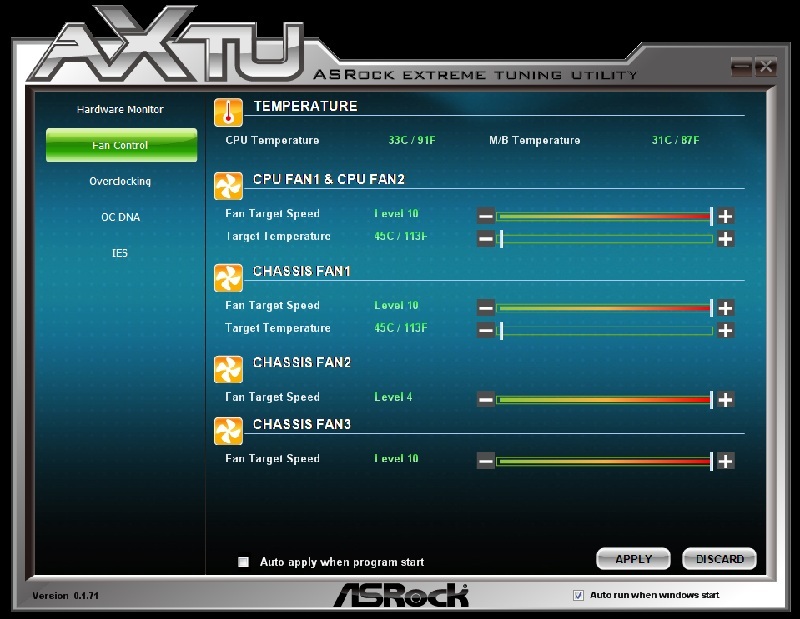 Using this feature allowed a nice stable overclock to 4.8Ghz (stable under Prime95 Blend for 2 hours). Not bad for just pressing a button! 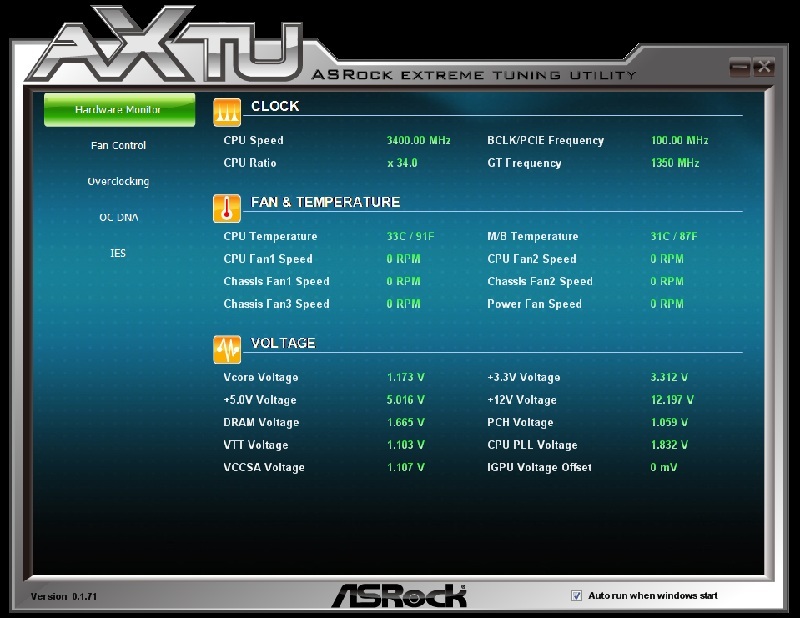 Pushing past the realm of 24/7 overclocking into the 5Ghz+ range requires a little more bravery with voltage and a few extra adjustments. 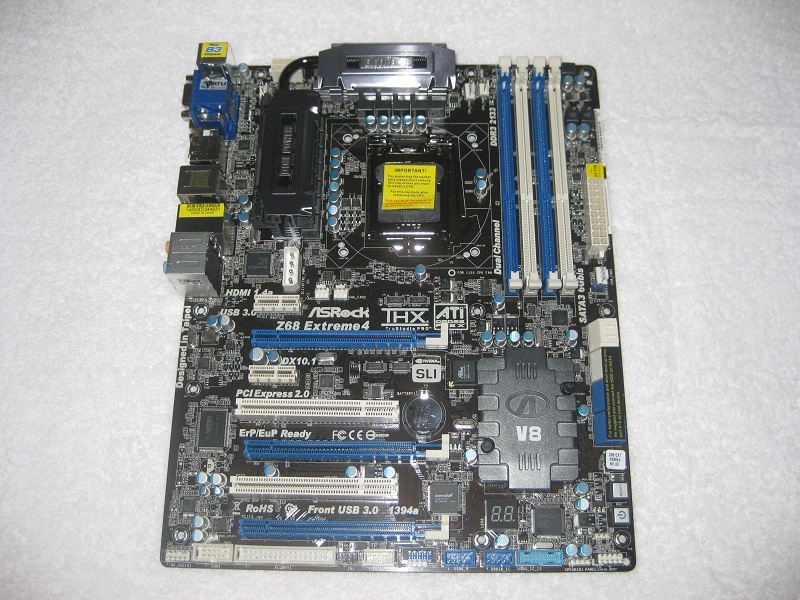 Overclocking from the bios to 5.4Ghz was still quite simple with this board. I ran in to only one snag. 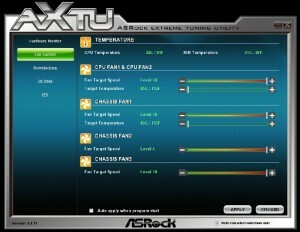 When running 5.4Ghz with heavy CPU loads, the CPU kept throttling back to 40x multiplier. 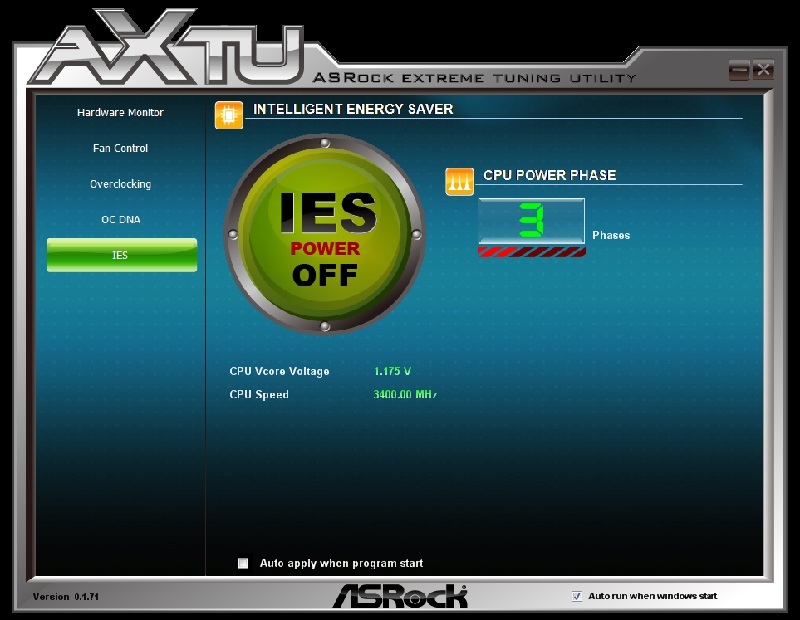 After some help from my peers here, as well as some deeper BIOS sleuthing, I found that as well as setting the “Core Current Limit” to 300 watts (could likely be less), you must enable Speedstep in the bios. 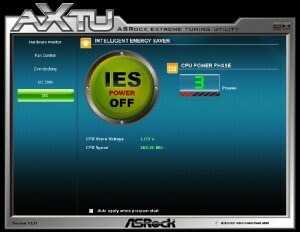 In doing so, two more options become available, called Short Duration Power Limit, and Long Duration Maintain. I set both power limts to its max of 300W and left the Long Duration on 1(second). This stopped the multiplier dropping issue and let the fun continue. 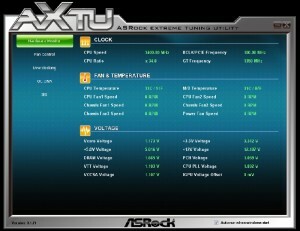 I had no motherboard related issues at all hitting my CPU’s watercooled limit. There was only one difference on this board versus another, more expensive board that made me raise an eyebrow. 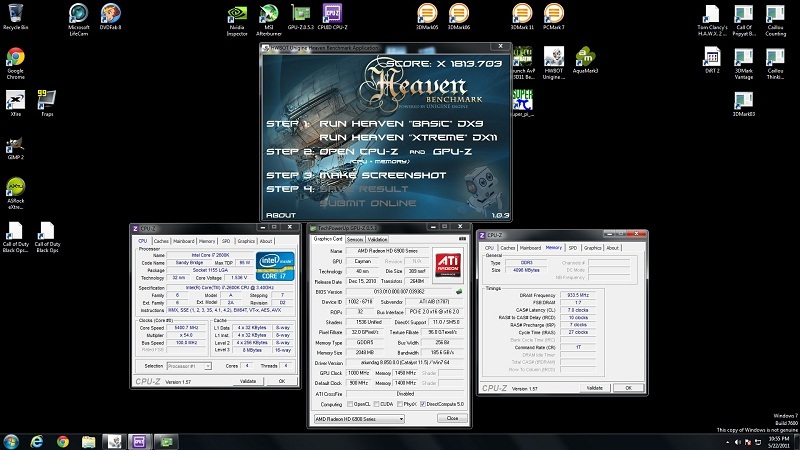 Where on this other board, I needed 1.51v to run 5.4Ghz with Hyper-Threading ‘benchmark stable’ I needed around 1.55-57v loaded to achieve the same clockspeed on the same benchmarks. Thats not a tremendous difference, but something to note regardless, especially for those who are teetering on the edge of temperature limits where every degree Celsuis counts. 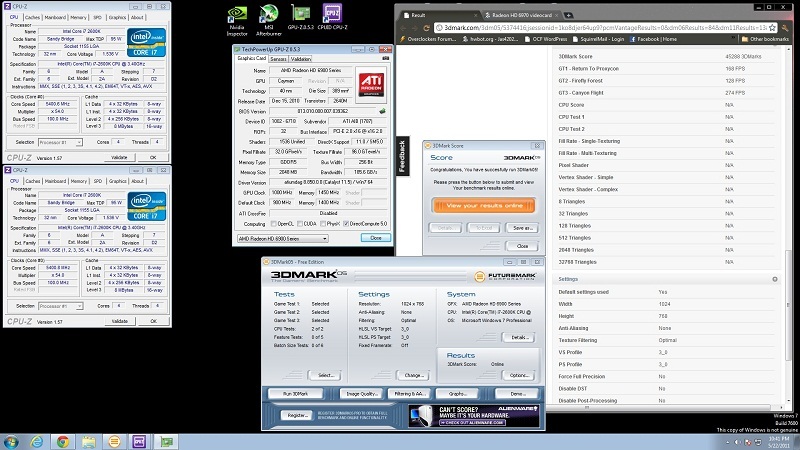 Below you will find some results for 5.4Ghz in both 2D (Super Pi 1M/32M, Pifast, Wprime 32M/1024M), and 3D (3DMark06, 3DMark05, and Unigine Heaven -Hwbot version). The benchmarks were all completed in a full install of Windows 7 64bit. The times/scores for these benchmarks compared to other boards seemed well within a ‘margin of error’. Only the best runs are shown. As you should be able to tell by now, the ASRock Z68 Extreme4 is a feature-laden board that should be able to please just about anyone. 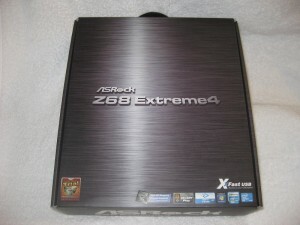 It has the ability to overclock with the best of them, as well as packing a several great features. One in particular I would like to mention here is the ON/OFF Play technology. This is a great feature for those who have any music player, be it iPod, or like myself, an Android phone, and would like the audio to play through your PC speakers with the PC on OR off! It was nice to be able to stream Pandora, or my Sirius radio right from my phone to through these speakers. Because I had the PC off, I was saving a fair amount of energy and eliminated the back round noise of my PC. The z68 Extreme4 also sports the new LucidVirtu technology, Xfast USB (boosting your USB speeds), and Intel Smart response Technology (speeds up mechanical hard drives, by using a solid state drive as cache – See this Anandtech.com review on the technology). 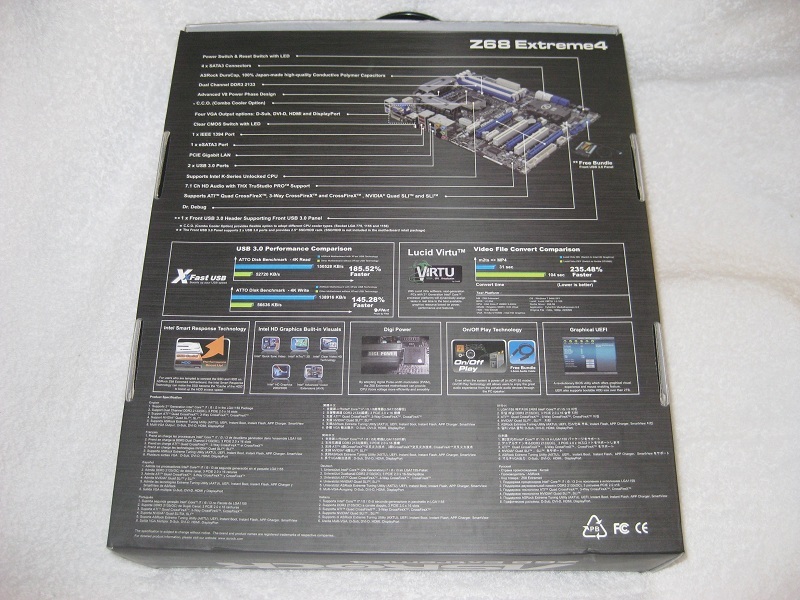 Currently the Z68 Extreme4 is available online at newegg.com for $189.99 + SH. This is not a bad price at all for such a robust board. 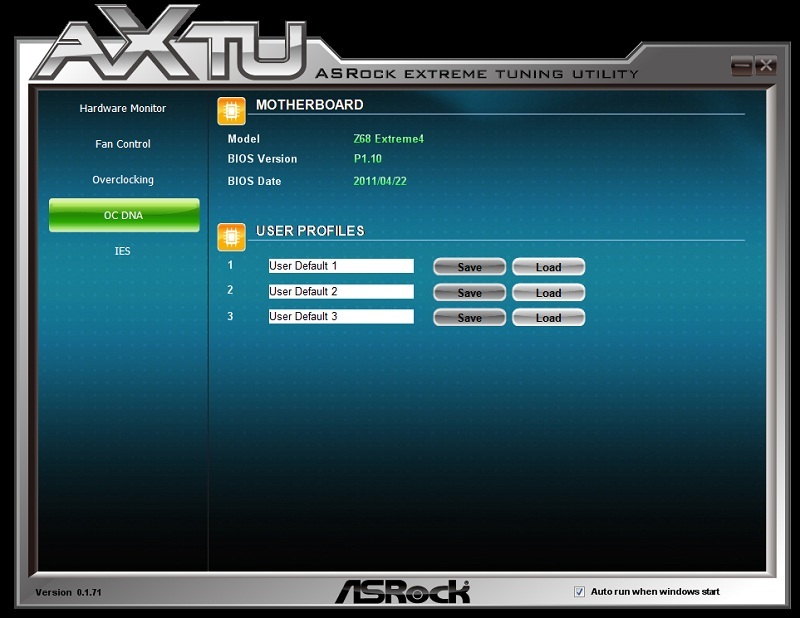 With all the new features the ASRock Z68 Extreme4 has to offer, as well as its very solid overclocking ability, this board should be a consideration for a wide range of PC users and enthusiasts alike. 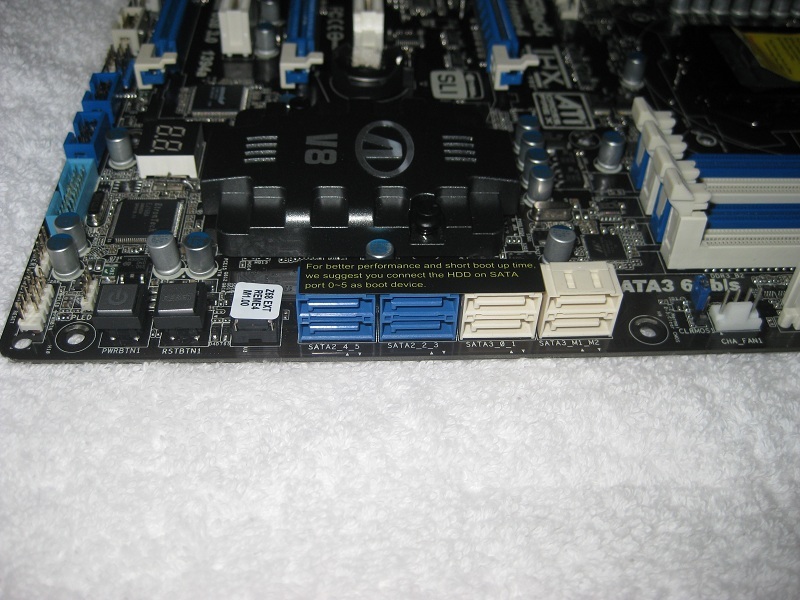 With that said, this board has been Overclockers Approved! I also like its interchangeable usb 3.0 port which can be mounted in the rear or to the front panel with included face plate. 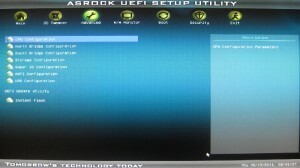 Some nice useful features it has as memtioned. very nice write up indeed! The intel mobos always make me jealous with how pretty they look and features..features..features! Perfect timing....I've been looking for info on Z68 equipped boards. 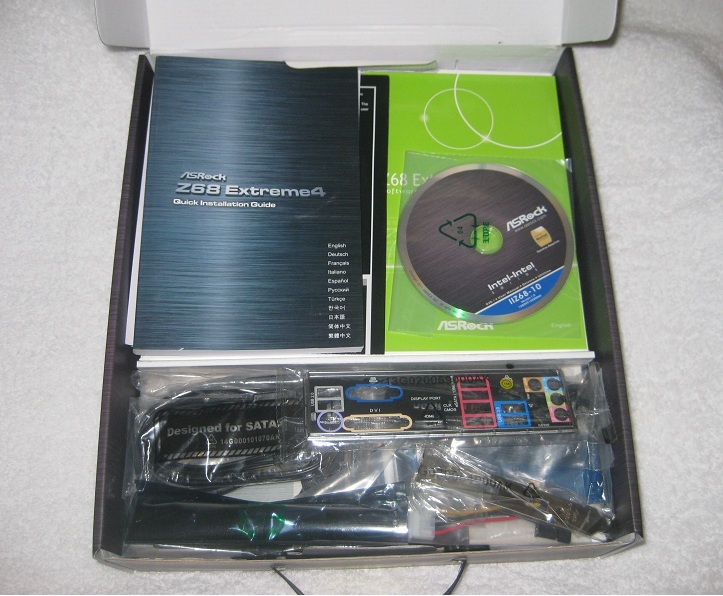 E Dog how were the Onboard graphics? 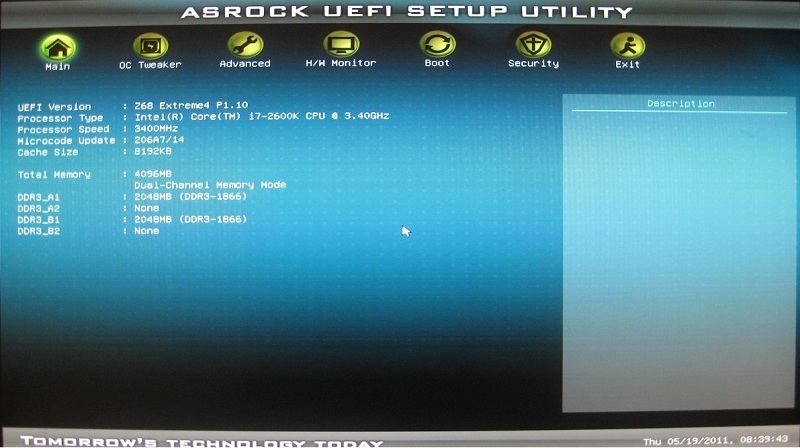 Can you run games at reasonable frame rates? 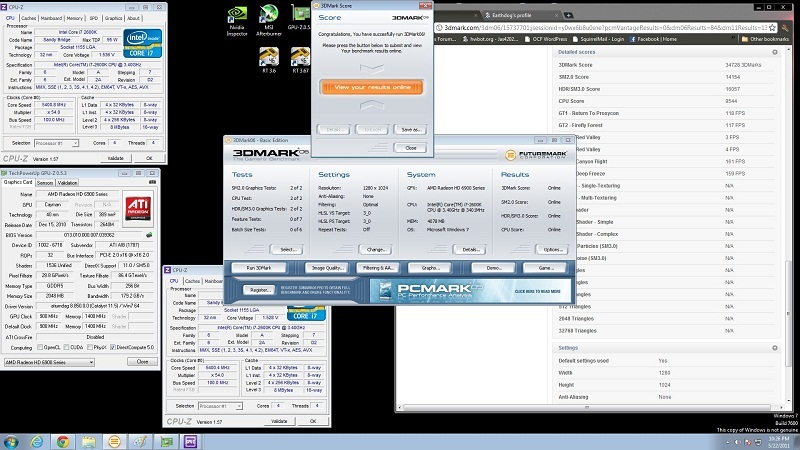 Did you run 3dmark with just the AMD GPU? Be real curious to see how they compare. 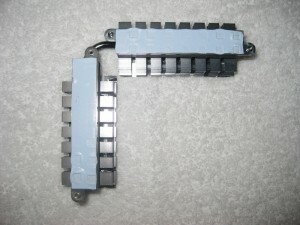 nice review, although I don't see much purpose for the on/off I guess it basically just acts as a splitter instead of just plugging in the speaker cable (or using a line-in cable into the speakers, as most have that by now). I will have to give the onboard a thorough lashing and report back. It will be a few days though. Thanks, because I don't want unmount the entire mobo before, and the old pad are squeezed so I think is not simple know the real thickness of pads.